The easiest way to manage your business tax filings with the Nevada Department of Taxation. Log In or Sign Up to get started with managing your business and filings online. 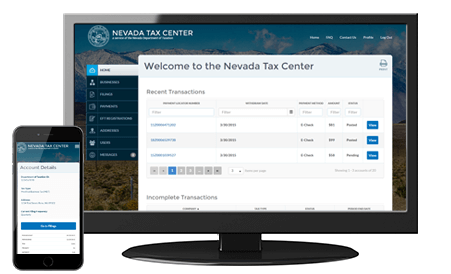 Do you have feedback on how Nevada Tax Center can better serve you? Let us know!